We carried out an Outline Planning Application for a mixed-use development combining 800m² of employment use and twenty-two residential units. 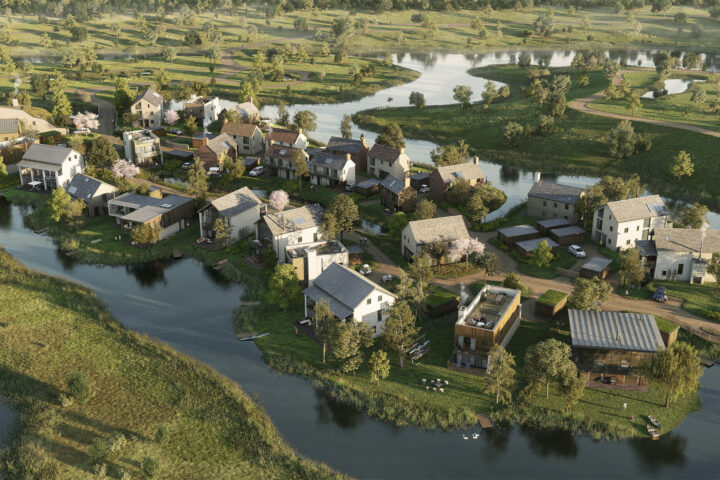 The scheme included works to raise the site level to deal with the challenges of flooding, providing a scheme integrated into the landscape of the Somerset levels. 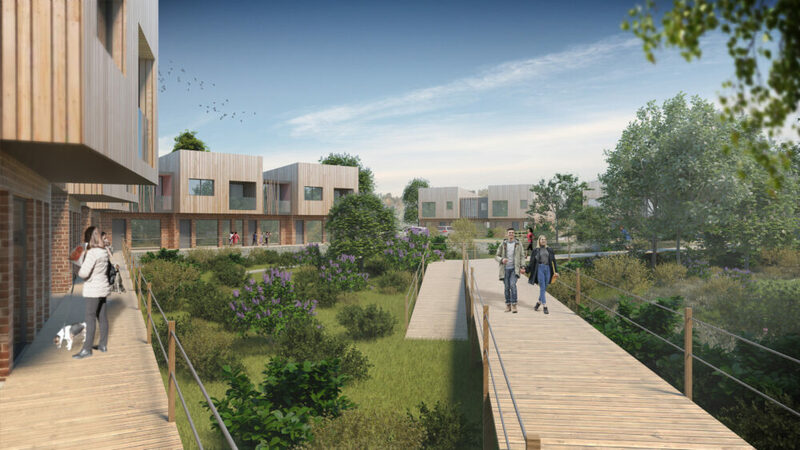 A series of proposed boardwalks provide access across the site as well as provide a platform for interaction with the wildlife interest on the site. 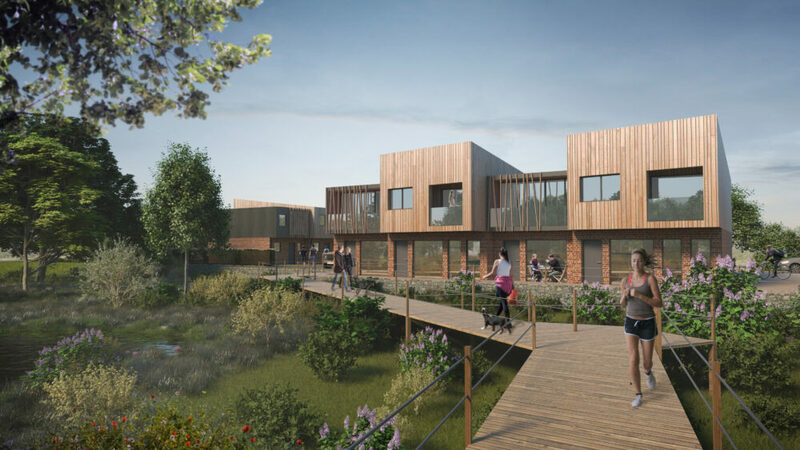 The area of ground between the boardwalk and the surrounding houses will be planted to encourage wildlife and provide year round interest to the residents. It is proposed to do this with a mix of ornamental and indigenous grass species around the perimeter next to the houses with more wetland species closer to the boardwalk to include dogwoods, willows and reeds. Primary access to the site is maintained from the existing road to the north. The existing access via Frog Lane will also be utilised for minimal pedestrian and vehicle access. 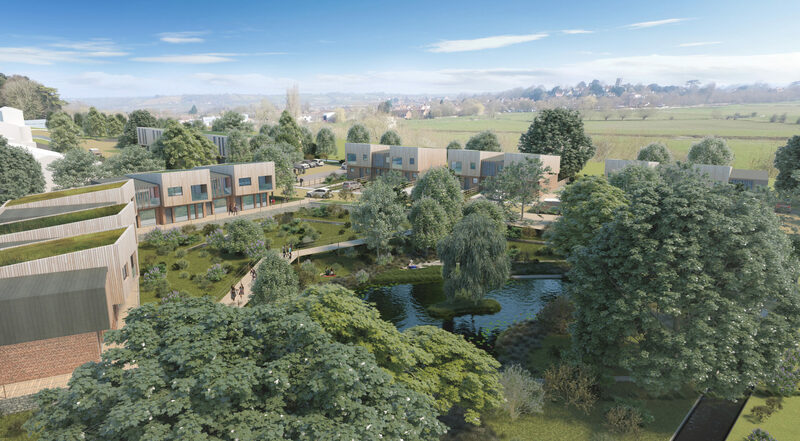 The boundary ‘gateway’ between the employment and the residential areas will be reinforced by a significant line of landscaping acting as a buffer / screen between the two uses. Materials have been carefully considered to match the site’s character and respect it’s history. Local red brick has been used at ground floor level with timber above to soften the mass of the buildings, helping them blend into the natural setting of the site. 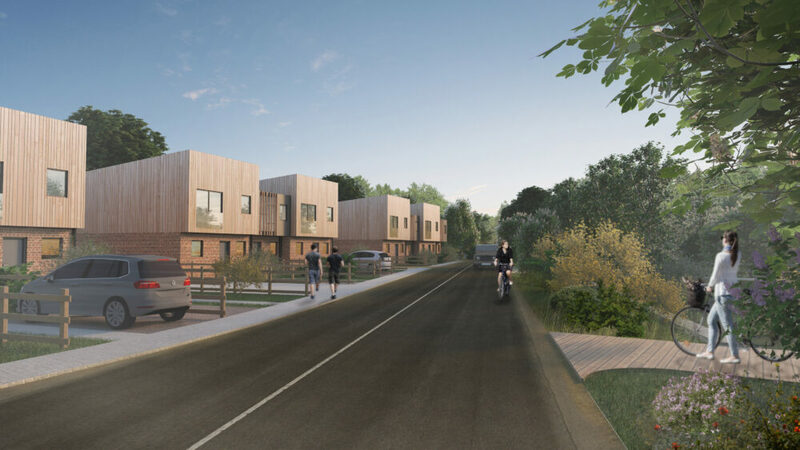 Green roofs have been proposed for both the housing and the employment building. 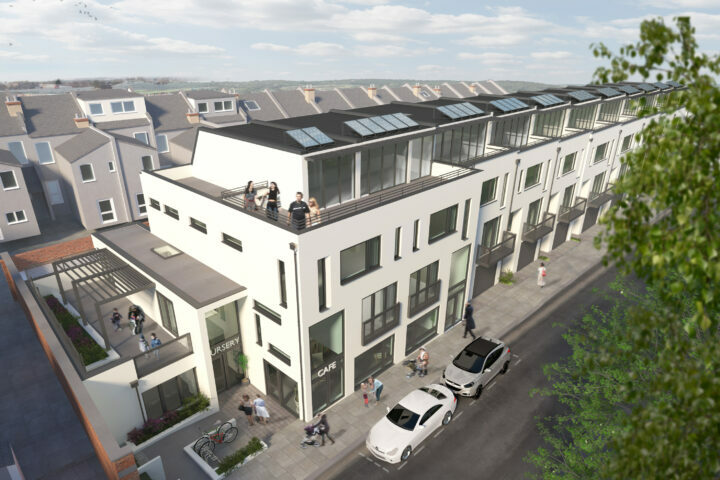 These roofs are designed to face outward, visible from the surrounding Levels to help reduce the visual impact of the site and keeping its natural character intact.